Rush hour commuters in the capital cope with street weddings – along with everything else. They emerged from the five-star Ambassador Hotel a few hours after sunset. 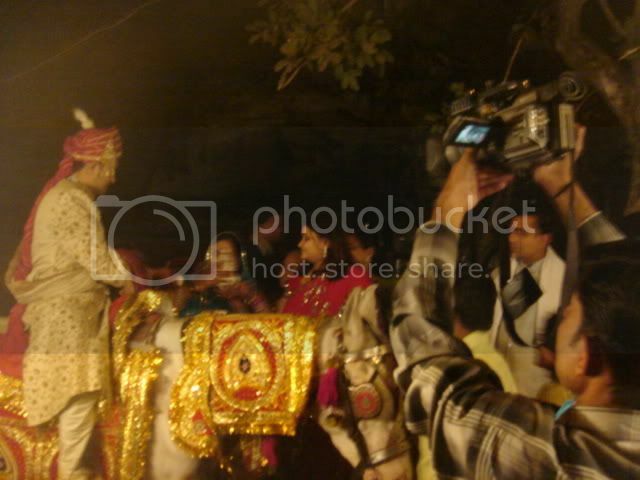 The handsome groom, turbaned and dressed in a cream-colored sherwani, climbed onto a white mare. Like a warrior-prince of yesteryear, he would ride to claim his bride: along with an entourage of uncles, aunts, cousins and well-wishers. 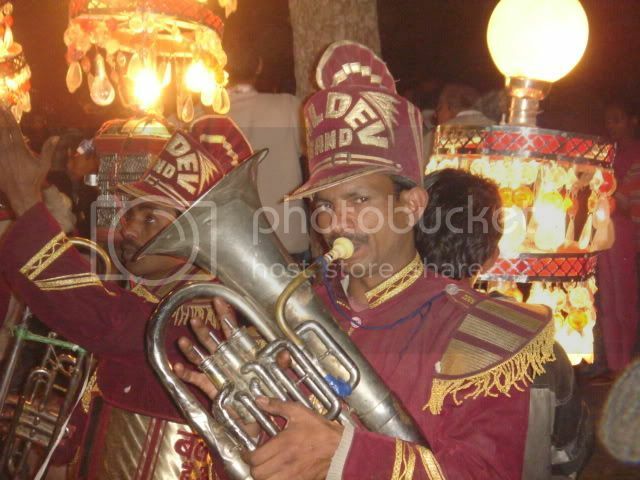 A band of professional musicians led the baraat – the wedding procession. Starched uniforms clung unnaturally to their slender bodies. Their sunken cheeks blew air into saxophones to produce ear-splitting Bollywood chartbusters. The entire party was surrounded by miserably-clothed laborers carrying stylish lamps on their thin shoulders. These lamps were powered by a noisy generator dragged by an exhausted man at the tail-end of the procession. Hijacking busy Subramaniam Bharti Marg Avenue, the baraat trotted on unapologetically at a snail’s pace – allowing ample time for the happy throng to dance, jump, laugh, shout, click pictures and show off jewels. The enthusiastic groom responded warmly to the cheers and blessings. 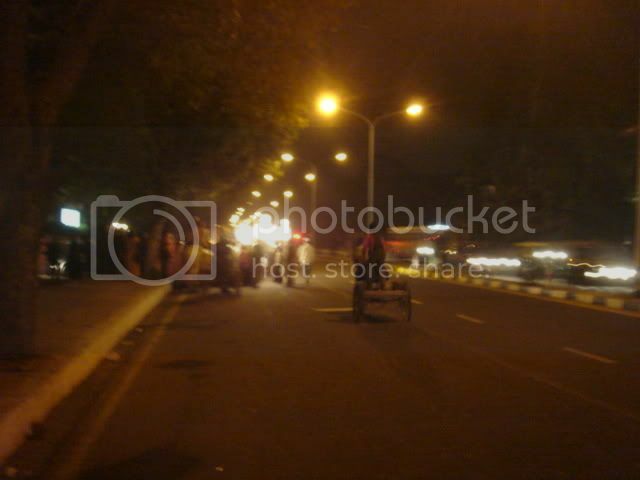 Late evening traffic whizzed past dangerously but was unnoticed by the revelers. Everyone waxed merry – except the mare, the musicians, and the lamp-carriers. Instead, it’s wintertime for weddings. During the cold months, some select days are considered so auspicious by astrologers that literally thousands of couples tie the knot during that period. 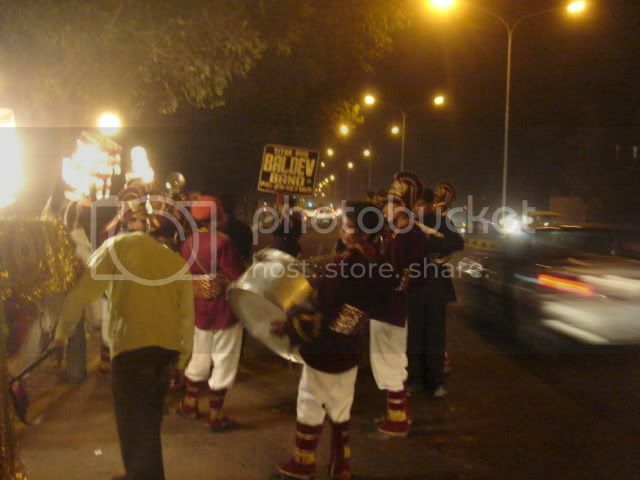 For instance, on December 13 last year, an estimated 30,000 weddings were solemnized in Delhi. Sometimes these baraat blockades could have dangerous consequences. Delhi-based media professional Manika Dhama, while driving home to suburban Noida, found herself in the cavalcade of a rich man’s baraat that had not just one mare but an entire circus of extravagantly decorated camels and horses. Some of the commuters were so infuriated that they thrashed the groom’s father right there on the road! “I couldn’t believe what I had seen,” Ms. Dhama said. Exceptions apart, most commuters tend to be more understanding. After all, many of them are married. 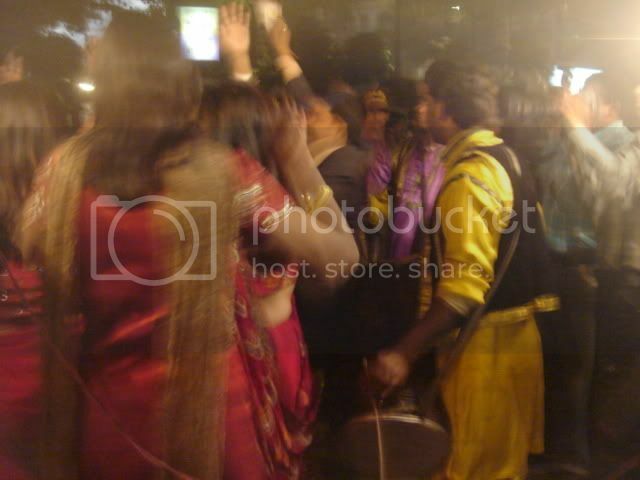 A baraat in winters and people dancing with umbrellas? That’s funny.